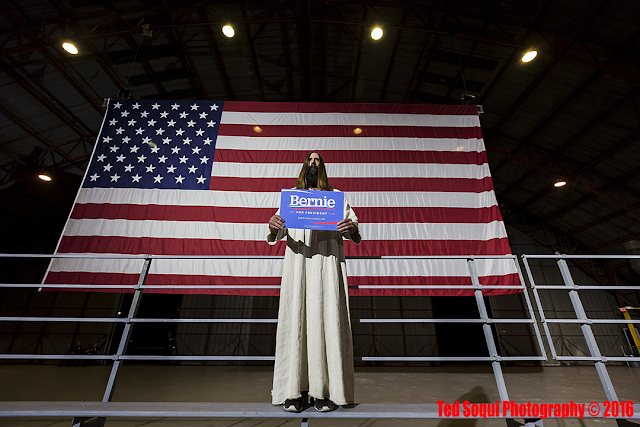 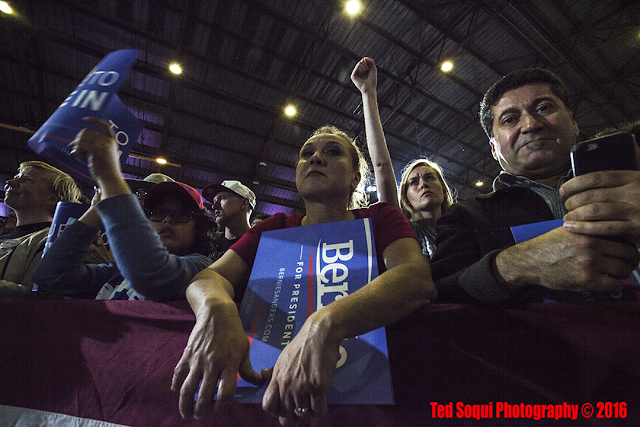 An election day rally for Bernie Sanders who lost the California Primary to Hillary Clinton, was held at the Barker Hanger inside the Santa Monic Airport. He defiantly vowed to continue his campaign all the way the next month's convention. 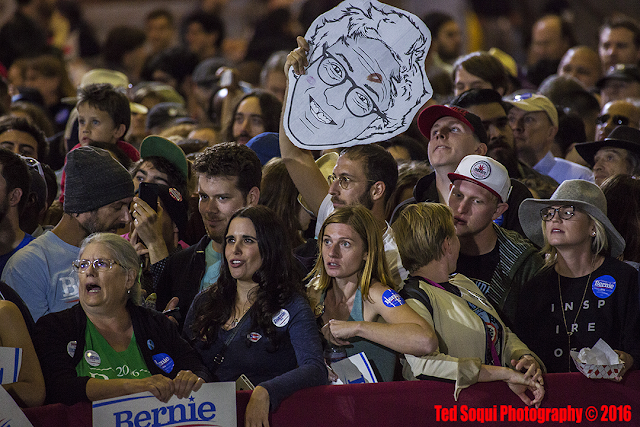 Sanders gave a shorter than normal speech and was visibly sad and tired from the election. 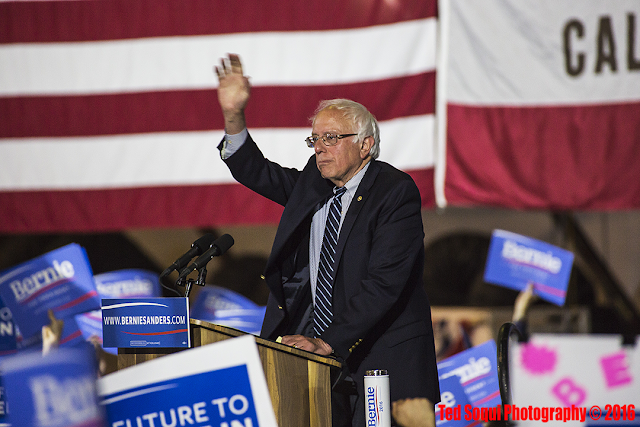 Sanders waving bye to the crowd.